Including one of the largest areas of open heathland and forest in England’s south east, the best things to do in the New Forest are simply stunners. Encompassing parts of Hampshire, east Dorset and Wiltshire, its boundaries are similar to the picturesque New Forest National Park. Lush scenery makes this part of England particuarly popular for outdoor activities, whether that’s horse riding, paddle boarding, hiking or wild pony-spotting. Fancy exploring this special part of the English countryside? 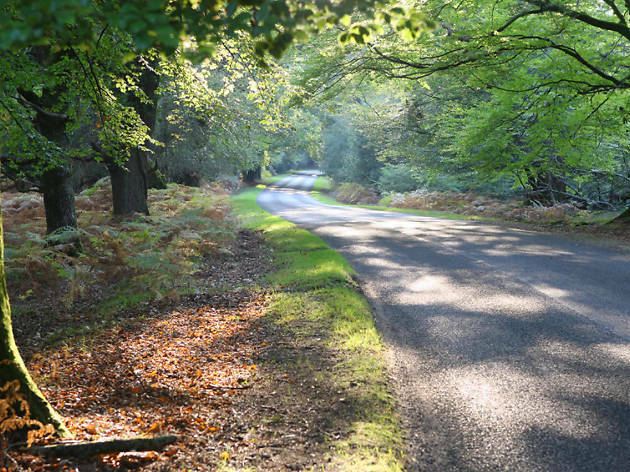 We’ve rounded up the very best things to do in the New Forest. In the area for a mere 24 hours? 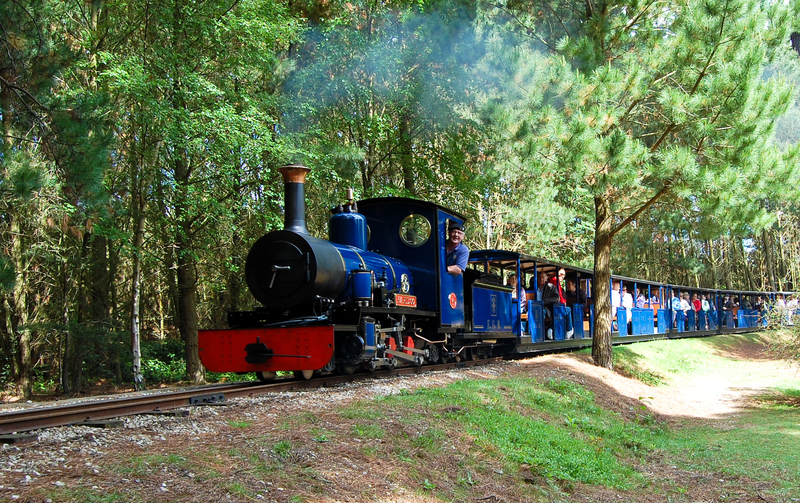 Check out our guide to the perfect day in the New Forest. Where is it? The heart and pretty much the entirety of the New Forest area. What is it? Best known for its heathland, forest trails and native ponies, New Forest National Park covers parts of Wiltshire, Dorset and Hampshire. Why go? 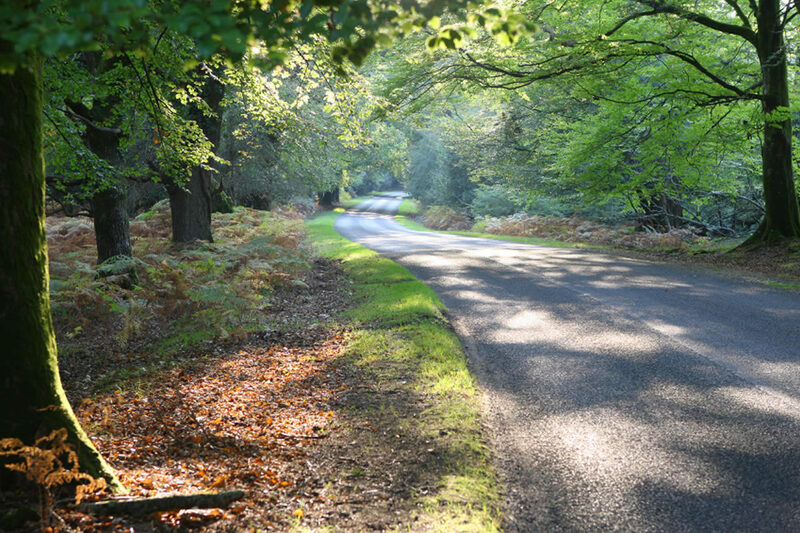 New Forest National Park is pretty much a paradise for nature lovers. Hike, cycle or horseback ride your way round hundreds of kilometres of glorious land. If you’re after a spot of luxury stay at Limewood Hotel. With a spa, cookery school, and stylishly decked out cabin rooms, the hotel is only a short stroll from the river Test, where guests can try their hand at fly-fishing. 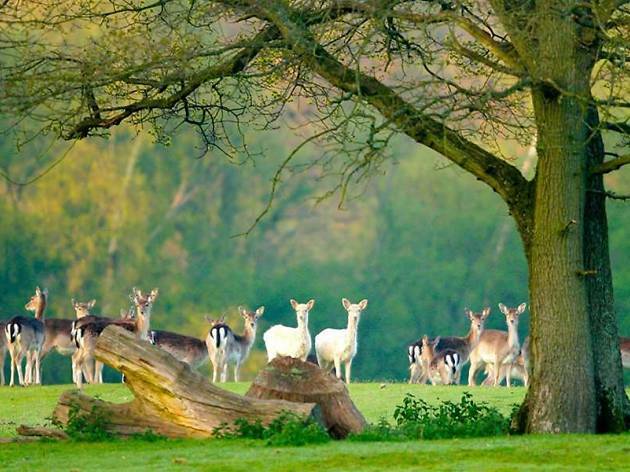 Don’t miss Bolderwood at the very heart of the New Forest – the Deer Sanctuary is the main attraction, but there’s a scenic designated picnic area too, so bring some sandwiches. Where is it? Milford on Sea. What is it? An artillery fortress established by Henry VIII in the 1500s. Why go? 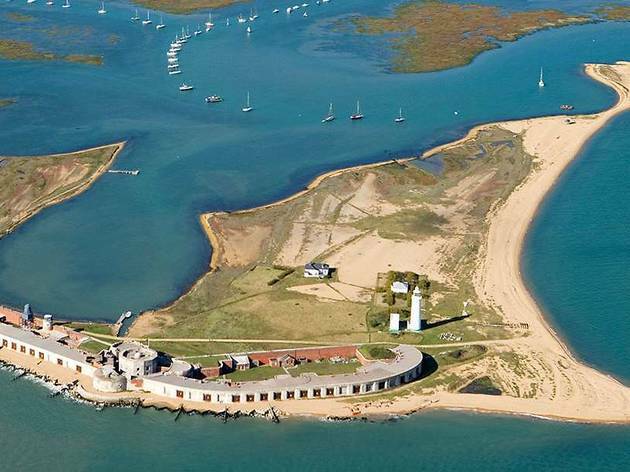 Used as a prison for 17th century captives, Hurst Castle was completed in 1544 under the reign of Henry VIII. It was deemed the ideal location to defend the western approach to the Solent (the strait separating the Isle of Wight from mainland England). Modernised during the Napoleonic wars, and again in the 1870s, it is now open to the public (managed by English Heritage). The castle sits on a shingle spit that extends 1.5 miles from Milford on Sea, and the end is less than a mile from the Isle of Wight. Enjoy the views from the top of the castle, or hire a boat from the Hurst Marine Fleet. Where is it? Between Beaulieu and The Solent. What is it? A 200 acre informal woodland garden in Hampshire. Why go? With two spectacularly pretty designated picnic areas – and a tearoom in which you can grab a locally-made ice cream – Exbury Gardens is ideal for a wholesome family day out. 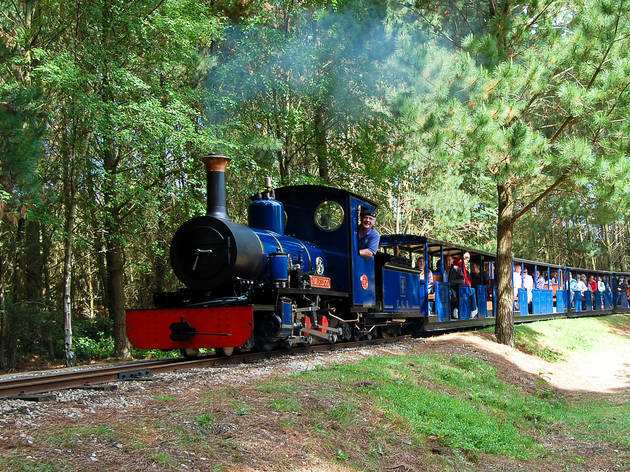 Adventure trails are devised for kids of all ages, but the real star attraction is the Exbury Steam Railway. A 20-minute journey carries visitors across the pond in Summer Lane Garden, along the top of the rock gardens, and into the beautiful American Garden. Where is it? South Hampshire. What is it? 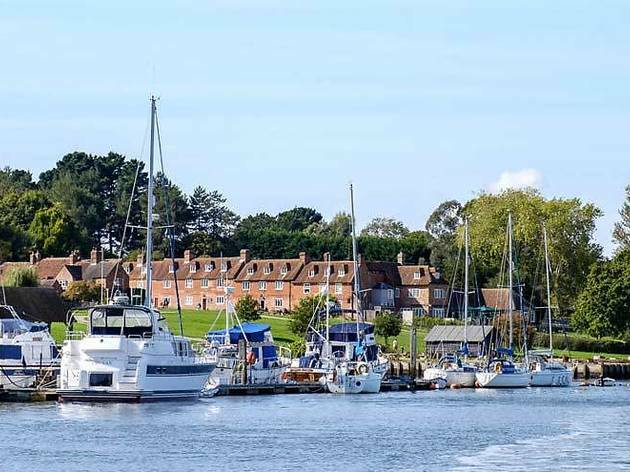 A pretty village, the National Motor Museum and the privately-owned Beaulieu River (formerly known as the River Exe), which is broadly considered one of the most beautiful marinas on the south coast. Why go? Beaulieu is a beaut. Family days out don’t get much better than the National Motor Museum, with its famous cars, pretty grounds, monorail and interactive play areas. Hang around to see the river (owned by Lord Montagu of Beaulieu), which runs through the centre of the New Forest, and is peaceful enough to navigate by canoe. Located on the banks of the river, New Forest Activities canoe base will get you started, with open ‘Canadian Style’ canoes and lessons starting from £25. If you get peckish, there are a few nearby dining options to choose from, including a Gourmet Rivière foodie pop up on the river bank. Captain’s Cabin Tea Rooms provides a decent afternoon tea, light lunches and hot and cold snacks. Where is it? Near Salisbury. What is it? New Forest Lavender Farm is (as the name implies) a fragrant lavender farm and plant nursery. Why go? A plant nursery, café and accommodation all rolled into one, it’s no wonder that New Forest Lavender Farm is so popular. 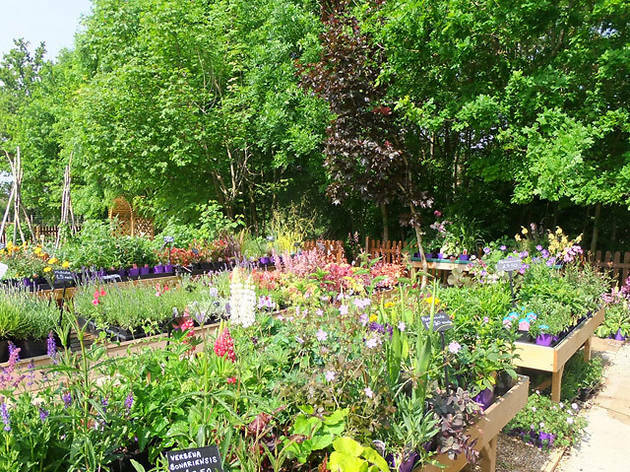 Browse a curated selection of top quality garden plants before tucking into a plate of lavender shortbread in the tearoom. A newly built holiday cabin provides a comfy place to stay with a hard-to-beat view over the lavender fields – not to mention varied wildlife including deer and pheasants. Where is it? New Milton. What is it? 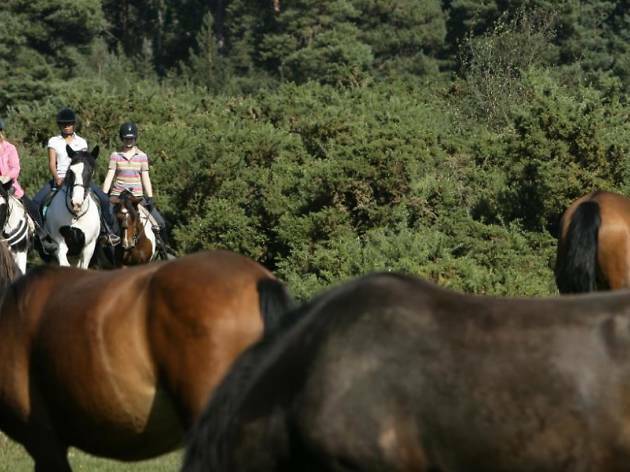 Burley Villa offers both English and Western-style horse riding trails around the New Forest. Why go? Ever fancied yourself as something of a buckaroo? Live your Western fantasy without leaving the country at Burley Villa. 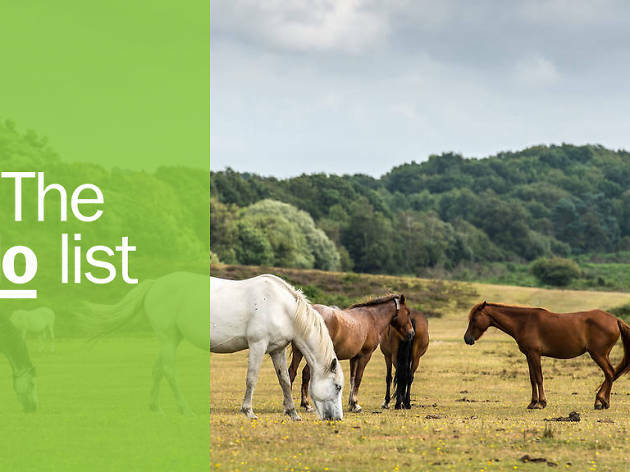 Their ‘Paint’ and Appaloosa horses in full Western turnout are quite the sight trekking through the wooded enclosures, rippling streams and open plains of the New Forest National Park. Who needs those sweeping American deserts and canyons, anyway? The school provides an optional barbecue too, and yes, Cowboy Beans are on the menu. If that’s not your thing, super-popular Ferndene Farm Shop is nearby and stocks grass fed beef, sausages, fruit, veg and their own free range eggs. It’s a good pit stop if you’ve got a taste for the outdoors and decide to try out a fishing trip in nearby Orchard Lakes. What is it? The Mill at Gordleton is a very popular restaurant with rooms, as well as a curated Art Garden. Why go? Situated alongside the river Avon, this restaurant and hotel’s rambling garden is a big selling point. Guests are welcome to try their hand at a spot of fishing, and the restaurant prides itself on fare sourced from the area. Local and national artists exhibit their work in The Mill’s Art Gardens. A new ‘Secret Garden’ contains a renovated Victorian swimming pool, newly converted to a pretty pond. The Mill is a great base for exploring Georgian sailing town Lymington, too, where open air sea water baths await those wanting to cool down on hot days. Go in August and you might catch Lymington Seafood Festival – or swing by Apple Court Garden & Nursery for a cup of tea and slice of cake in the sun. With an exquisite Japanese garden and tropical borders, the nursery is worth a look for those interested in picking up particularly unusual plants. What is it? Fancy soaking up a bit of New Forest scenery from the water? 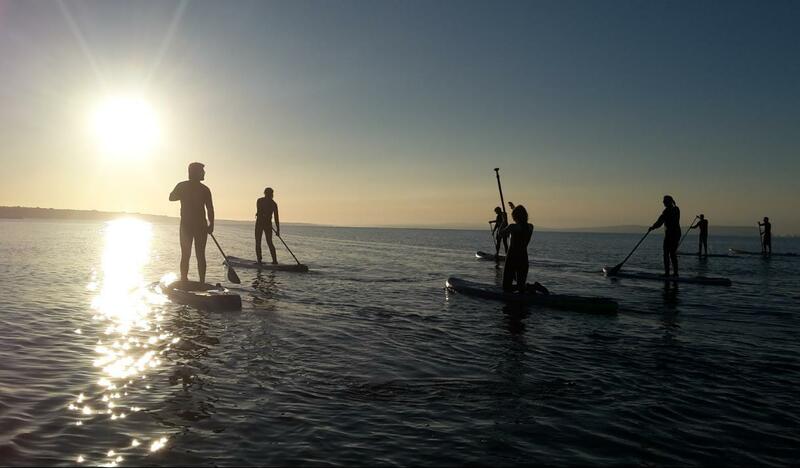 Try paddleboarding. Why go? 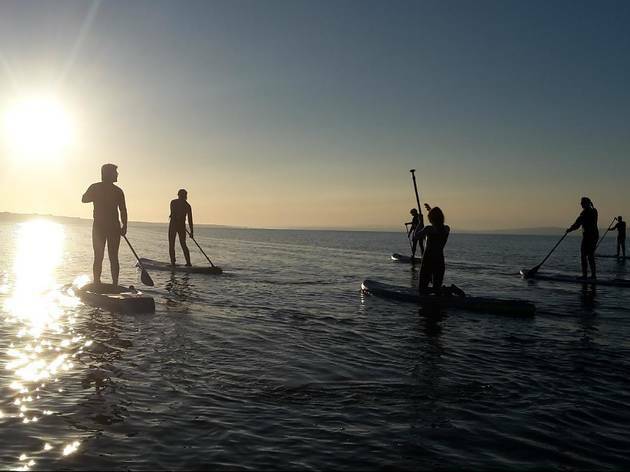 Based in beautiful Milford on Sea, The New Forest Paddle Sport Company offers up the chance to explore the New Forest coastline and salt marshes of Keyhaven from the water. They even provide extra-special options, like a post paddleboarding sunset picnic. With views of Hurst Castle and the Isle of Wight, it sure is a fun way to burn a few calories. Calories you can swiftly replace at nearby, award-winning fishmongers and restaurant Verveine, where seafood is served the best way - super-fresh and super-simple. Where is it? In the middle of the New Forest National Park. What is it? Brockenhurst is the most populated village in the New Forest, Hampshire. Why go? Brockenhurst is one beautiful, rural spot. You won’t be surprised to find ponies, deer – even the odd donkey or cow – roaming the streets of Brockenhurst. Set up camp at thriving local hotel The Pig, which is home to a gorgeous kitchen garden, smoke house, wild flower meadow orchard, chickens and a paddock of, well, pigs. There are even spa treatment rooms, housed in a former potting shed and shepherds hut – and the restaurant serves the sort of uncomplicated British home cooking that always goes down well. Antique hunters should look out for collector’s fairs at nearby Brockenhurst Village Hall.